On Sunday I ran the Leadville Silver Rush 50 Mile Trail Race (although you can interpret the word "ran" however you want - there was a lot of walking involved). 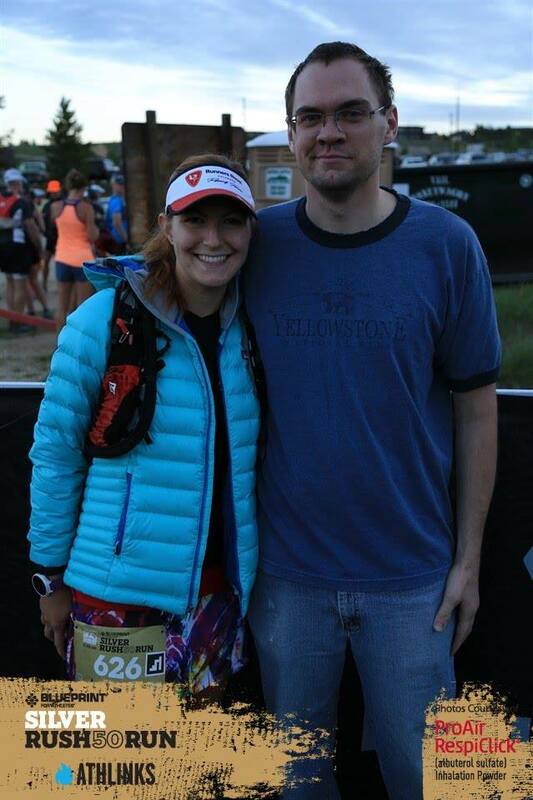 This was my 4th Ultra Marathon (5th if you count the solo/unofficial 50K I did a few weeks back). I haven't done a lot of them, but I have done enough to get asked the question "why" a lot. And as annoying as that can sometimes be (especially with the tone people usually ask it in), it actually IS a good question. And it's one I don't always know the answer to, especially during the middle of the race while enduring intense pain and suffering. 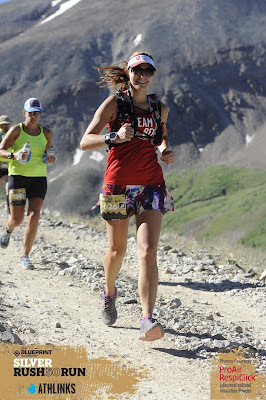 During the middle of a hard race, I often find myself asking the question of "why"? Why did I voluntarily sign up to do this? Why am I putting myself through this pain? These were the exact questions going through my mind from about half-way through Sunday's race until I finished. 2. Because I like to prove that a regular, ordinary person with no special athletic talent whatsoever, CAN do hard things. There is just something so rewarding about getting through something so miserable and knowing you pushed yourself. Knowing you didn't quit. Knowing you worked your heart out to finish it. So that my friends is "why." 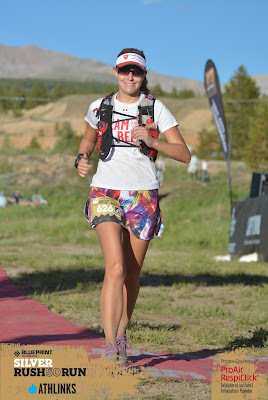 Honestly, The Silver Rush 50 in Leadville has always been in the back of mind as a race I wanted to do. 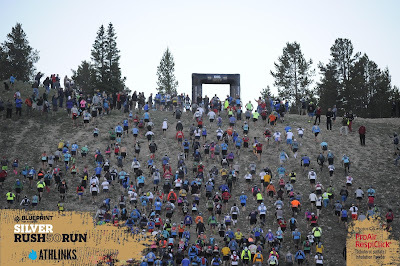 The Leadville races are iconic. Leadville is known for it's high altitude, tough mountain ultra's. Looking at the elevation profile, this race actually didn't look that tough to me though (probably why it appealed to me). The route has a total elevation gain of 7,382 feet - that is LESS than Pikes Peak Marathon which I did in 2014. This was almost double the distance. Surely it won't be that difficult, I thought. To say I was wrong is an understatement. Mixing that elevation gain with the altitude (almost entirely over 10,000 feet high and topping out at over 12,000' on four separate occasions) on rugged dirt mining roads over 50 miles made it seem pretty darn hard if you ask me now! Nevertheless, I persevered and got it done (eventually anyways). For the first time ever in a race, I did not officially sign up until the day before - after driving all the way there and hoping they still had spots available (I'm such a planner, that this is unlike me, but I found out I could save $10 if I did it this way). Thankfully, they did have spots and I quickly got my bib. After that, Scott and I walked around downtown Leadville for a bit and then had dinner at High Mountain Pies - a delicious pizza place one block off of main. We then headed to Buena Vista where we were staying for the night with some friends of mine. I got up at 4:00am the next morning (actually not that bad compared to some road marathons I've done), and we hit the road just after 4:30. I had to be at the start by 5:30 to make sure I had my drop bag there in time and it is a bit of a drive from Buena Vista (30-40 minutes). All was good with our timing and we ended up with just about 30 minutes before the start (perfect). I was pretty nervous by this point, but it was too late to back out now! With a few minutes before the start, I kissed the hubs good bye and headed into the mass of people getting ready to start. The race actually starts straight UP an old ski hill. It was rough, but I knew from the get go that I would just walk it. I was going to be out ALL day, no need to over exert myself this early on. So that's what I did when the gun went off - just settled into a nice walk to the top of the hill. After that we made our way south out of Leadville on dusty mining roads (so much dust!). Aside from the very beginning climb up the ski hill, the first 7-8 miles ended up being much more gradual than I was expecting. I ended up settling into a nice easy pace, alternating walking the uphills and running the flats and downhills (and there were surprisingly more flats and downhills that I expected). I felt like I did this very conservatively and felt great for the first 8. The last few miles up to 12,000 feet got a bit tougher - just much more steep and pretty rocky - but I kept at my same slow, steady pace and still felt okay. Once we reached the top of the first climb, we got some AMAZING downhill (note - I would not be calling this amazing on the return trip). It was a very non-technical dirt road with a somewhat gentle downhill grade and I just flew down it, probably smiling the entire time. These were my fastest miles of the day although I didn't really push my pace - just let the downhill gravity and still fresh legs do what they do best and run! About 3 miles into this I reached the Printer Boy Aid Station which was the first "big" aid station of the day (there has a smaller one at 7). It was a lot of fun to go through this one because there were a TON of spectators cheering us on. I grabbed some chips and soda and then headed out, making my way down another short descent. It was back to the uphill grind for miles 15.5 until about 20 with the exception of a 1/2 mile downhill section. Miles 19-20 along with it's return section (28-29), was my favorite part of the course. This was when you got above treeline and it was the most gorgeous green section with incredible views of the mountains in all directions. It was beautiful and a good reminder to myself of why I was out here - to experience this! Section 4 was mostly all downhill, but not one I completely enjoyed if I'm being honest. It was incredibly steep, especially the first mile down - which on top of just not being great at running down really steep sections, the fact that I knew I was going to have to come back up this soon made it that much harder to enjoy. Nevertheless I knew I had to get it done and make it to the turn around, so I did it - getting to the half way point in 6 hours and 3 minutes (right about what I was going for - I had wanted to be under 6 hours, but I could handle 3 minutes over). I spent a little longer at the aid station than I wanted, but I had to find my drop bag, change shirts (the frustrating under arm chafing was happening with my tank top) and refill my hydration pack. I was probably here for about 10 minutes before heading out. Considering this was the least amount of gain for a section it sure was a tough one. My legs were definitely getting tired, but I was still feeling okay mentally which is the only thing that got me through this. The first couple of miles were fine, but that last mile to the top of this section was ROUGH. It was insanely steep. I found myself stopping a couple of times for rest breaks, which I really try not to do (relentless forward progress is the motto for ultra runners - even if you're going slow, you keep going and don't stop - unfortunately I still stopped a few times). But I kept at it and eventually made it to the top! NOT the real steep section, I forgot to get a picture of that! The reward for finishing the ascent in section 5 was that I got to run through my favorite section again. 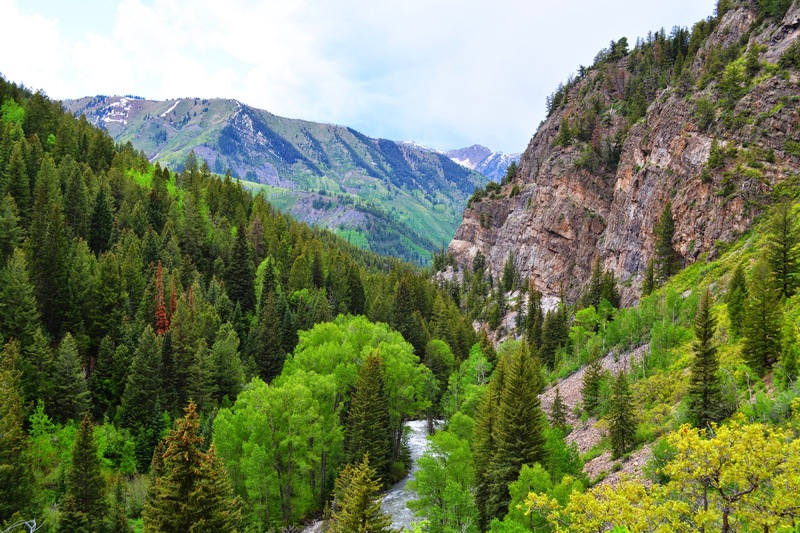 The glorious green beautiful few miles above treeline. It was lovely! This was BY FAR the hardest section for me. The first mile and a half were fine - I reached the Printer Boy aid station which had a ton of people again which was a nice pick-me-up, PLUS someone had left their personal pickles (they had already been thru) which was a LIFESAVER. Pickles are SO good when it's really hot out and you need sodium! The problem came when I had to go BACK UP that wonderful "gentle" downhill section from the beginning. It had seemed so wonderful and gentle when I was going down it...but going back up it was AWFUL. It was seriously never ending. And the entire thing looked the same, so it felt like I was just walking in place. I would round a corner expecting to be almost done and it would keep going. Plus my back was really starting to ache by this point and I just about had a mental breakdown. I didn't know if I could do it at this point. I stopped and try to eat some more to see if it would help. It didn't. But I kept going, and going, and EVENTUALLY I made it. This stretch went on FOREVER. Finally I had finished the last of the major climbing. This meant I was in the homestretch! Unfortunately it also meant I STILL had about 10 miles to go. There were rumors that this wasn't a "full 50 miles" - I honestly didn't care though. The race is called a 50, so I'm calling it a 50 - however, it made it hard to tell exactly how much further I had. I did get to the turn around point at about 24.2, so I was thinking we'd come in around 48-point-something. I was trying to get myself to run the downs, but it was pretty tough. I was exhausted. I had also started getting side stitches whenever I ran downhill too much. So I just chugged along at a run/walk/hobble as best as I could. I tried to get myself to average 15 minute miles - I wasn't super successful, but kept most of them in the 16 minute range. I passed a lot of people walking, but I also got passed by people who had been able to pick up their pace. When I was about 3-4 miles to go I kept hearing guns going off (there must have been a shooting range nearby or something). My only thought was "if I don't finish because I get shot I'm going to PISSED". Thankfully I did not get shot! Finally I knew I was close - I could see Highway 24! We got onto the short section of bike path from earlier that morning - I was almost there!!! But then we were directed onto a different single track section we hadn't done that morning. But I knew we had to be almost there... except that the single track kept going on. And up. And on. And up. 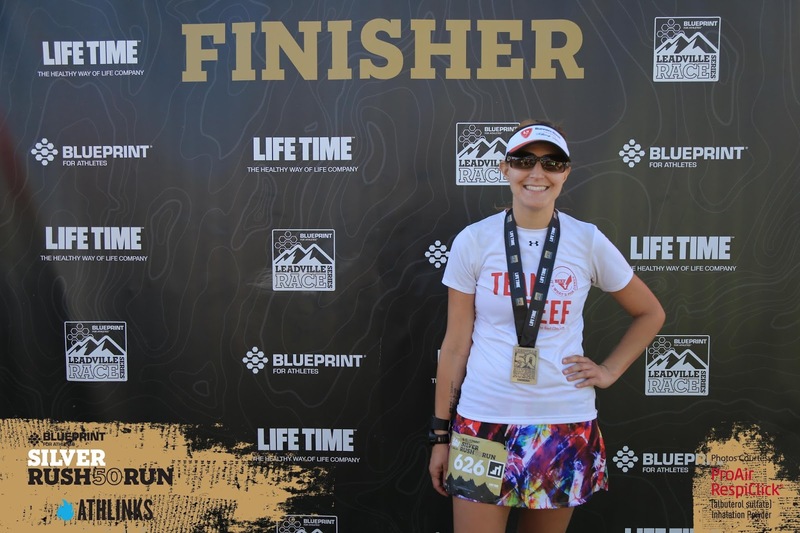 For OVER a mile (one mile is quite possibly the longest distance ever when it's the last one in a 50 mile ultra). And then there was the top of the ski hill from earlier with people cheering us on...but we didn't get to go down the ski hill, we were directed around it.... how long was this going to be?! Until FINALLY the singletrack went back down and I could see the finish line and the famous Leadville Race Series Red Carpet! I was going to finish! I very painfully mustered up a smile so I'd have some decent finish pictures and crossed that finish line in 13 hours, 21 minutes and 22 seconds. It was slower than my first 50 miler, but SO much harder so I did not care in the slightest. I was just happy to be done and within the time cut off of 14 hours! It's only been two days, so this is still pretty fresh in my mind and so I still stand by my thought that this was HARD. I spent a lot of time during this race thinking about how in the WORLD I am ever going to complete Lean Horse 100 in August.... but don't worry I'm not giving up or anything. I'm just going to keep training - and work on mental training as well. I'm also feeling extremely grateful that I chose an "easier" first 100 race. My 100 miler will have less overall elevation gain than this 50 miler did, so hopefully that will help. Nevertheless, it is still DOUBLE the distance. So it will be interesting! And I am still completely terrified (but still excited...I think). As for this specific race, I did really like it. I feel the same about it as I did the Leadville Trail Marathon I did a few years ago - the Leadville Race Series puts on good races. I know they sometimes get a bad rap because they're very "corporate", but they do a good job. The course is always well marked and the aid stations are great - the volunteers at this were AMAZING and so, so helpful! I could've done with 1 or 2 more aid stations on the course because once you start walking a lot, 7 miles (the approximate distance between aid stations) takes a LONG time. I also could've gone for pickles...I'll have to make sure I bring those to Lean Horse! The weather ended up being really nice for this race - it did get into the 70's, but there was a pretty good breeze most of the time keeping the temperatures down. Overall, aside from how hard it was, I did like this race. I'm glad I did it and I know it was good for me mentally. Random observation: I am actually not very sore post-race. I was more sore after I did the 50K last month...kind of bizarre, but I guess it shows my training is working a bit! All of my gear and clothing worked for the most part - I ended up changing shirts halfway through due to chafing and I ended up with 2 small blisters...not bad for being on my feet for over 13 hours though! WOW, amazing job Kate! And as usual your photography is stunning. 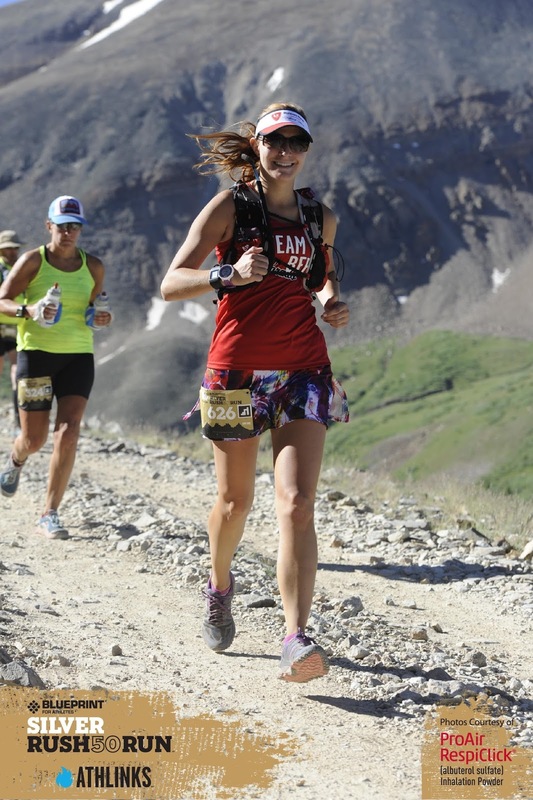 To say that impulse-running the Leadville 50 is impressive is an understatement. 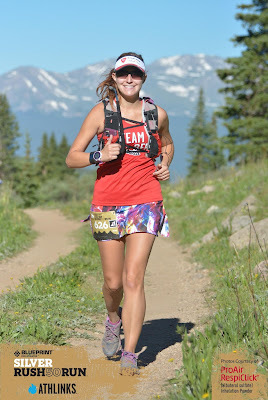 I've wanted to run the Leadville Marathon for several years now, and in fact I signed up for the 2012 race but couldn't run due to injury. So I'm very eager to get back... though as a low-lander I understand the suffering that awaits, having "run" the Pikes Peak Ascent in 2010. 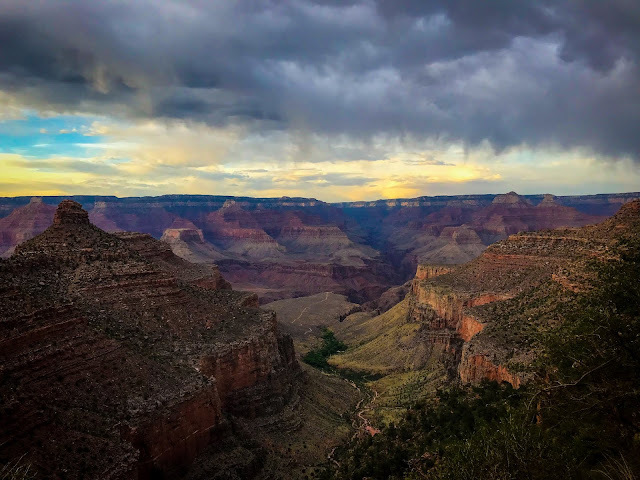 And while Lean Horse may be twice the distance, it's also run at roughly half the altitude, so as a Colorado native you should be feeling good. Any other race is low-altitude after Leadville! Wowza! Great job and beautiful photos, as always! Great Job! I'm contemplating this race in addition to the Silver Rush 50 the day before. Your post is super motivating! Hope your running is going well.